Aspen Review Café: Barbarians of Central Europe? 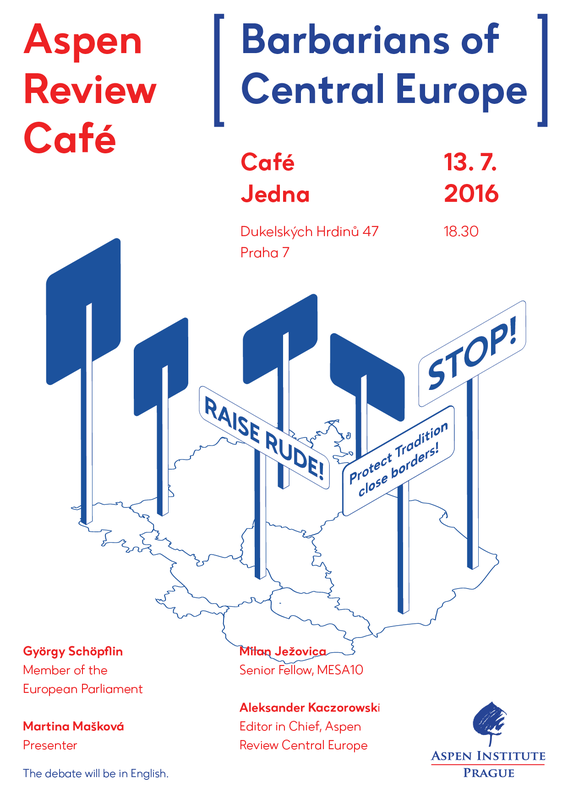 It is our pleasure to invite you to a public debate titled Barbarians of Central Europe? which is a side event accompanying the eponymous issue of our Aspen Review CEE quarterly. Within the Aspen Review Café series, we give the public an opportunity to discuss current topics with renowned experts and authors. We will discuss the issue of Central Europe’s role within the EU: The response to the refugee crisis along with illiberal tendencies in the Visegrad countries that joined the EU just a decade ago, are causing a rift between its old and new member states. More information and updates are available at the Facebook event. The debate will be held in English.